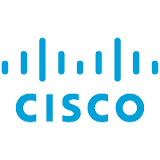 Today we will look for setting Cisco devices host name and then disable domain look up. Host name is used to identify devices in a meaningful and easy way. We can check current status of domain look up by filtering running config where filter is “domain”. As you can see domain look up is disabled. Then we flip to default value and then filter again the running config so there is no line about domain look up which means it is enabled by default as we said before. LEARN MORE How To Find External or Wan IP Address Without Browser?